You’ve researched, you’ve shopped, and you’ve landed on a vendor for your Intranet and/or Policy Management System. Now the real work starts! The next, and one of the most important steps in the implementation process, is to assign a project manager. Choosing the appropriate project manager could make the difference between a successful and unsuccessful implementation. A good project manager may form a team or committee that will help divvy up some of the tasks so the entire workload doesn’t all fall on one person. Here are some important things to think about when choosing a project manager. There are a lot of moving parts to an implementation of Intranet and/or Policy Management System – everywhere from branding, to design, to functionality (both organizational-wide and departmental level), training, etc. Since these systems will be utilized by the majority of the hospital staff, that’s a lot of opinions, wants, and needs to juggle. Having a project manager who can keep track and ensure all of these moving parts work together is crucial. With all of the various elements that go into the implementation of an Intranet and/or Policy Management System (i.e. graphics, layout, content preparation, training, implementation, go-live prep, etc. ), a good project manager will need to be able to effectively communicate to your internal team the milestones and deadlines for various scheduled items. The right project manager will also need to listen to the employees to make sure that the new system will include features that are important to them. Not only will the project manager need to easily communicate with internal staff, but also with the vendor. Vendors have completed hundreds of implementations. A good project manager will listen to and employ implementation best practices provided by the vendor. They will need to communicate the wants and needs of the hospital to the vendor so the vendor can make the system most applicable to that particular organization. This is where the “management” part in project management comes into play. The right project manager not only needs to communicate the various objectives to the appropriate parties, but also be able to follow up with those individuals/groups to make sure those internal deliverables are being met. Since the project manager can’t (and shouldn’t) do everything, the coordination of multiple departments is an integral part to the implementation process. Whether it’s making sure the IT team sets up the servers in preparation for install, or making sure the various hospital departments prepare and organize their policies for upload—staying on top of these internal resources will help meet the set go-live date. We all understand that everyone is extremely busy with their normal, day-to-day job duties. Getting buy-in from upper level management will go a long way to get the employees to see the importance of this project and make the management of this project easier! Project management isn’t just about having technical ability or a keen eye for design. It’s about having the right skill set to keep everything moving forward. 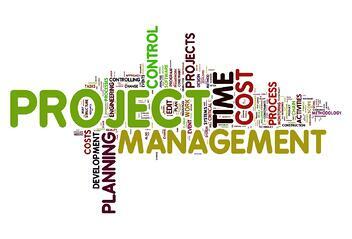 The person who researched this project or signs off on the project may not be the one best suited for managing the project implementation. For a project manager, choose someone who can devote the time needed and who embodies the qualities above. A representative from the IT department could be a good project manager because they have a good grasp on technology, and typically understand the capabilities and limitations of the software. Someone from the marketing department could also serve as a good project manager for an Intranet as they are typically experts in communication, and an Intranet is essentially an internal communication tool. Choosing an administrative assistant could also be a viable choice as they are typically very organized and normally communicate with multiple departments on a regular basis. Every facility’s organizational structure is different so there’s not one correct answer for all situations. When choosing a project manager for implementing your Intranet and/or Policy Management System keep the main goal in mind—pick someone who can multitask, manage others, resources, and materials, and keep the project moving forward efficiently and effectively.